Edward, Bella and Renesmee (h). . Wallpaper and background images in the The Cullens club. 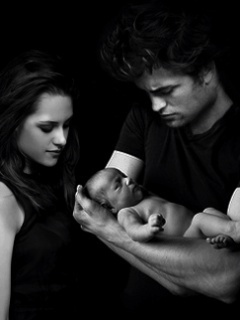 Renesme will be the star of breaking dawn. Rock on twilight saga! I defenitly recomend it! This is SOOOO cute i love it! aww^^ i wanna glomp her! but i heard that they wernt gonna make Breaking Dawn!